This week we started doing some early tests. A number of people have signed up for the test process and are putting the game through its paces. For that I am very grateful. At this stage, what this allows is for me to iron out some of the obvious bugs and make sure the game is actually feature complete as per the original. It also allows me to take feedback from players and get an idea of some of the directions that we should take the User Interface. 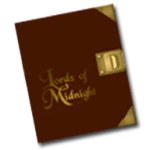 The iPad is a very different beast from the 8bit computers that Lords of Midnight was originally developed for. 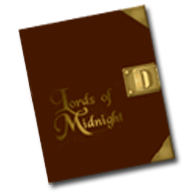 It is also a very different beast from the Windows machines that I developed WinLom and the Midnight Engine on. Therefore, it’s only when you start playing the game on the actual device that you get a feel for how the game should and should not play. I’m already starting to question some of the assumptions that I had made about the direction of the UI. Over the next few weeks as the game starts to settle, I will be one by one addressing particular areas of the game. For example, I might spend a couple of weeks really drilling down on the in game map. So over that period all builds will be addressing new functionality or tweaking existing functionality in that part of the game. The the following couple of weeks, I will focus on a new area. A little later than anticipated as I got a little side-tracked with buying a house… anyway, I’m ready to open up the iOS testing. Email this to me with your name and details about your device. I will be rolling out iPad tests first, followed by iPhone4, and then possibly iPhone3. I have now decided to use Test Flight to manage the test process. Please follow this link to register for Beta Access.